It's quite crucial to know the basis behind the working of counting methods, before the player could successfully and effectively apply the blackjack strategy to his game. Whole principle is for keeping a tab on each card dealt, such that one could adjust the betting pattern accordingly as per his condition of blackjack shoe. With almost all card counting methods what you look for is a positive card count. If the count happens to be positive, it implies that smaller cards have already been played & that deck has now a bigger percentage of large cards. And with a bigger percentage of large cards, it is advantageous for the player in many ways. High card count will lead the player to bet for more money as then the mathematical edge is on his side. But this isn't all. As you start to win more, you ought to not lose focus on card counting. As the high card count goes away you need to slow down by betting smaller as now the casino is having the edge. Card counting was first developed by Professor Edward Thorp in 1962 who was working on revising the fundamental strategies. By means of mathematical computation, he realized that the player was having more edge when deck was lower in Fives in comparison to the deck when it is lower on other cards. So this all began when players tried to keep a track of the no. of fives that were already dealt, so that they would have an idea about the no. of fives left there in deck! 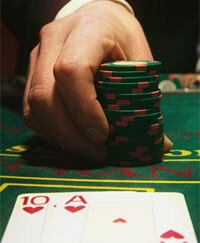 The issue of legality is always linked with casinos and gambling games, especially the Blackjack. This point of view is not from a lawyer but still it is being given after years of experience, research and investigation about the blackjack rules and regulation related to card counting. And what's conclusive is- since it does not involve the use of any computing device and just your brain is used for the computing part, it is perfectly legal.